Persian Garden's pattern, inspired by a beautiful antique Persian Rug, showcases the masterful combination of color and design achievable on Karastan's Axminster looms. 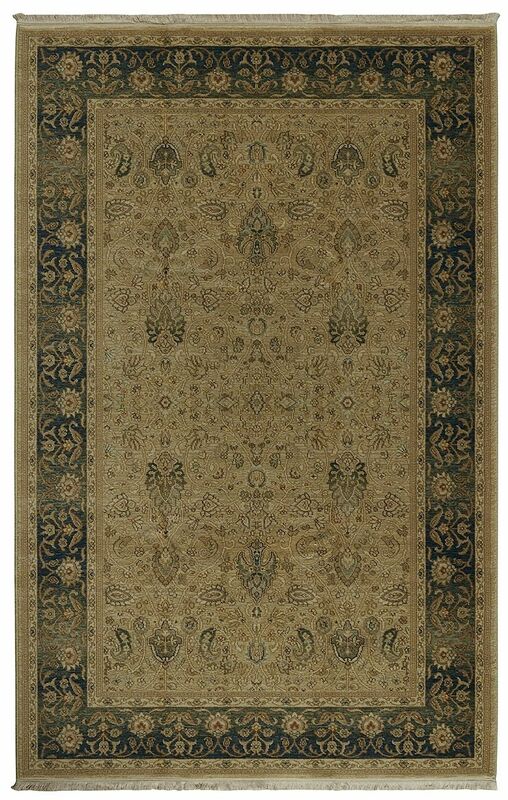 The intricacies of the stylized floral pattern and the ÒombreÓ effect of Persian Garden make this rug a visual garden. Understated blues from pale glacier blue to slate to Prussian blue with tiny accents of persimmon and terra cotta are combined to achieve a palette that is understated and elegant.